Irish Water is planning to invest almost €1.8 billion in water and waste treatment improvements over the next three years. The investment, which is substantially more than the indicative funding available to the utility, will deliver urgently needed improvements in drinking water quality, leakage, water availability, and waste water compliance. Five months after being set up by the Government Irish Water is now taking control, reprioritizing, and ramping up the water infrastructure programmes of our 34 local authorities. The programme is going to cost €1.77 billion in the first three years, but there will be billions more spent over the following five or six years. That represents a big boost in investment for the economy with over 380 separate projects listed. 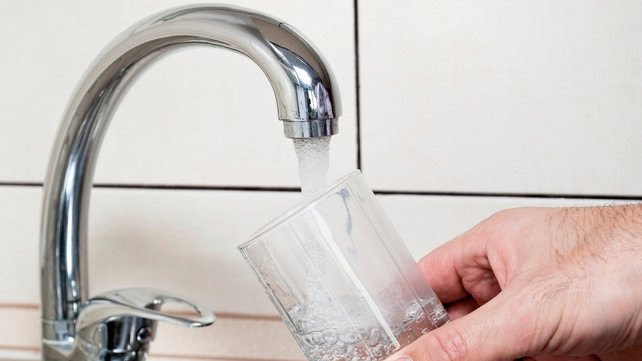 The priorities include eliminating boil water notices in Roscommon, providing more water, and reducing disruptions to water supply in the Dublin Area. Improving water quality, increasing waste water treatment capacity, and improving environmental compliance are also priorities. With in excess of 700 million litres of water per day being lost through leaking water pipes a major programme to tackle leakages is included. Irish Water says that this leakage programme, combined with the completion of existing works at Ballymore Eustace and Leixlip, will solve Dublin’s water issue in the short-term. However, Irish Water says that the project to divert water from the river Shannon to the Greater Dublin Area will still be required in the medium-term. How to be unpopular: agree we should all pay for water. Water costs. It’s running out. Water security is going to be one of the biggest concerns over the next three decades. We should pay for water, as long as the money it generates goes back into building a decent, reliable, safe infrastructure that’s worth paying for, along with a clean supply that doesn’t have to be boiled within an inch of its life in order to annihilate cryptosporidium. In several pockets of the country, such unacceptable inconveniences are still the case. A PR disaster coupled with an angry public and small local protests are distracting from the topic of water security. Of course, Irish Water and the Department of the Environment have done everything possible to put themselves into the public’s bad books by tossing the entire process around with butter fingers, fumbling it all the way to its conclusion. But the broader context is a global issue that is hugely worrying. If you want to know about the future of water, the US is a good place to start. In the American southwest, the Colorado river, which supplies water to about 40 million people in arid spots such as LA, Vegas and Phoenix, is drying up. The water source region has experienced 14 years of drought, a remarkable occurrence. The reservoir Lake Mead, created by the Hoover Dam in 1935, is the biggest problem. Some 90 per cent of Vegas’s water comes from the lake. Soon, one of the city’s two main intake pipes could actually be above water. Nevada is rushing to install another pipe, digging a three-mile tunnel 650ft underground. The city of Las Vegas has paid homeowners $200 million to dig up their lawns to curb water usage. Parts of California are looking west for solutions, namely San Diego, banking on a desalination plant to be operational in 2016, converting Pacific ocean water into the city’s water supply. Remarkably, 15 per cent of Americans supply themselves, taking water from their own wells. The more rural you get, the more likely a local co-operative will be the supplier. But 11 per cent now receive water from private companies. American Water, the largest private supplier, has 15 million customers. United Water, the second largest, has seven million. United Water is owned by the French company Suez Environment, a global giant in the privatisation of water, supplying and treating water in Spain, Slovenia, Canada, Mexico, China, Indonesia, Morocco and elsewhere. Bigger still is the other French behemoth of water supply, Veolia. The World Economic Forum estimates that by 2030 across every sector there will be a 40 per cent global shortfall between the forecast demand of water and available supply. In the next 15 years or so, it’s possible this lack of water will create a global food crisis with a projected shortfall of up to 30 per cent in cereal production. Giant corporations have been putting their heads together to try and sort out this problem since 2008 when the 2030 Water Resources Group formed, featuring the World Bank, Coca-Cola, Standard Chartered, Nestlé, and our French friends, Veolia. Considering the number of conflicting reports, figures and conclusions, it’s hard to discern what the real impact of water privatisation is. Given the budgetary constraints on local and national government in terms of sprucing up the water infrastructure effectively, privatisation does at least appear to make the supply safer and cleaner. Child mortality in Argentina fell 8 per cent in the 1990s in cities that privatised their water and sewer services. In the poorest areas, that reduction was 26 per cent. On the flipside, privatisation of once public utilities has a habit of excluding the least well off. Usually, once you start charging the price of water only goes up. Analysis of 30 major US cities last year by Circle of Blue (an information resource on the water crisis worldwide) found that the price of water in 2013 was 7 per cent more than in 2012, and a staggering 25 per cent more than in 2010. In the category of the lowest usage, (a family of four using 50 gallons per person per day), the average monthly bill varied dramatically: $11.49 in Memphis, $54.78 in Santa Fe, $27.12 in New York, $51.10 in Seattle. America’s water infrastructure is creaking too. A water main breaks every two minutes in the US. People dancing on the sidewalk in the mist of spraying fire hydrants isn’t a music video cliche for nothing. In the UK, water charges went up 2 per cent this year, and 3.5 per cent last year, making the average annual bill €475. That’s nothing compared to the first decade of privatisation, from 1989, across England and Wales, when charges increased by nearly 50 per cent. What we do know about charges here is that the annual average bill will come to €240, and will stay that way until 2016. After that, you can only assume that water charges will flow uphill. But, while the issue of charges here rubs everyone up the wrong way, we do need to get serious about the wider issue. Because our local misgivings are just a drop in the ocean. Yesterday, Irish Water welcomed the Government’s announcement regarding water charges and allowances. There is a critical need to invest in Ireland’s water infrastructure to bring it up to the standards needed for a modern country. Water charges provide an essential part of the investment required. We also welcome the Government’s announcement of €200m in additional funding for capital projects for 2015 and 2016, which brings total capital investment to over €1.1bn between now and 2016. This will allow us to ensure better water quality, reduce leaks and accelerate metering. The average household charge will be around €240 until the end of 2016, with no fixed standing charge. Water usage for children under 18 will be effectively free. Every household will receive a free allowance of 30,000 litres of water (and a corresponding allowance for waste water) per year. Average charges will be similar whether you have a meter or not. No one is disadvantaged by the timing of meter installation – the assessed charge will be closely aligned to metered usage and a rebate scheme will be in place. Households with meters installed will pay for actual usage. Other households will pay an assessed charge approximating actual usage, based primarily on the number of adults in the home. The pace and extent of meter installation will be increased. Free first fix policy – householders who have leaks on their property will have access to this scheme, reducing their water charges and helping with conservation. Together with the regulator, Irish Water will provide public information and consult with the public on the operational details. As these details become available, they will be published on the Irish Water website for all at www.water.ie or householders can contact us at 1890 278 278 (this service is available 24 hours a day, 7 days a week). For your further information, please see the attached Press Release and Frequently Asked Questions from the Department of Environment Community and Local Government, as well as a related Statement from the Department of Social Protection in relation to Water Charges, also issued yesterday. If you are looking for further information, or have a specific question for Irish Water, please feel free to respond using this email address localrepsupport@water.ie . As the operational details contained in today’s announcement become available we will continue to use this channel to provide you with the information in as timely a manner as possible. Water bill of 240 euro per year is too high for an average especially on the squeezed middle who are struggling to cope. Remember cabinet that this is a new figure after taxes and USC. Labour, in particular, had major reservations about the standing charge, which would erode the benefit of allowances for households with children, and this had complicated the discussions. Agreement in principle on special provisions for pensioners living alone has also been reached. Under the draft deal, such pensioners would pay between €40 and €48 a year in quarterly instalments of €10-€12. A senior Labour source said this meant certain pensioners would now pay “little or nothing” for water. This is because the Government is still committed to raising €500 million a year from the water charge, which is one of the final outstanding elements of Ireland’s bailout deal with the troika to be implemented. The average annual fee was pitched at €240 at the outset of the latest negotiation, which followed a bitter Cabinet row between Fine Gael and Labour Ministers in the run-up to Easter. However, the extent to which the €240 will rise as a result of the new “hardship remediation package” is still unclear. The ultimate scope of this package and the range of beneficiaries remains to be finalised, it is understood. The draft plan on the table is under discussion between political advisers and civil servants but not yet between Taoiseach and Tánaiste, it is understood. Still, negotiators are working on the basis that settled welfare entitlements – for example, for specific medical conditions – would determine whether householders have the right to benefit from the water hardship package. Having failed to strike a definitive accord this week, the negotiators are now working to ensure all aspects of the agreement can be endorsed by the Cabinet when it meets next Tuesday. While Mr Kenny pledged many weeks ago that voters would know what fees would be charged before local and European elections on May 23rd, a Fine Gael push for an pre-Easter deal fell foul of Labour claims that the larger Coalition party was trying to railroad the deal through. Two days ago, however, Mr Gilmore said he recognised that the lack of clarity over the water fees was making life difficult for Labour candidates. The campaign started badly this week for Labour with a call for Mr Gilmore’s resignation by substitute MEP Phil Prendergast. In the South, Sinn Fein opposes almost every measure the Government proposes as if there is an endless pit of exchequer funding. In the North, where it has to face up to the responsibilities of government, it has maintained and increased a high level of property tax, imposed public sector pay freezes and a range of other cuts. Property tax in the North is more than three times higher (€950) than the average property tax in the South. In the North, Sinn Fein has increased the property tax 4 years in a row from 2011 to 2015. Water charges are already in place in the North and form part of domestic rates bills. Sinn Fein has only deferred the introduction of direct charging for water until 2016. In 2010, a 2-year pay freeze was imposed on all public servants earning over €25,000 in Northern Ireland. Meanwhile, in the South, Sinn Fein wants to cut the rate of tax relief on pensions, which would result in a compulsory pay cut of several hundred euro for all public sector workers. In the North, SF signed up to a 4-year budget slashing government spending by 8% across government departments from 2011 to 2015. Northern Ireland is currently preparing for the introduction of a ‘benefits cap’ which would cap social welfare entitlements. Approximately 30 schools have closed in the last two years under the watch of a Sinn Fein Education Minister and more closures have been proposed. In the South, Sinn Fein opposes the hugely successful JobBridge Programme, which offers a €50 top-up to social welfare entitlements and has provided 28,000 internships to date. In the North, Sinn Fein legislated for and implemented an equivalent ‘Youth Employment Scheme’. This scheme offers a top-up of between €18 and €55. For years, Sinn Fein wanted to significantly increase our corporation tax in the South. Now Sinn Fein are actively seeking powers from Westminster to lower the NI corporation tax rate and compete with Republic of Ireland. Sinn Fein advocated a wealth tax for years and used it to balance the books in its questionable costings in successive pre-budget submissions. Last year Sinn Fein dropped its wealth tax proposal after admitting it couldn’t cost the proposal. Under Fianna Fáil’s deal with the Troika, water charges would have been introduced as early as 2012. “Fianna Fáil is relentless in its attempts to rewrite history. Under its deal with the Troika, Fianna Fáil promised to start charging for water by 2012 or 2013. And under its National Recovery Plan, also published in 2010, Fianna Fáil wanted to raise €500 million from the measure – meaning households would be paying an average of €400 a year for water. “So if Fianna Fáil was still in power, not only would you already be paying water charges, you would be paying much higher rates. “In its Election Manifesto in 2011, Fianna Fáil promised for a third time to introduce a water metering system. But what does the Party do in Opposition? Pretend this all never happened. “Fianna Fáil has made an art of out U-turns since it was forced out of Government. Despite promising to introduce a property tax and water charges while still in Government, the Party has opportunistically opposed these measures now that it is in Opposition. The public will see through these outrageously hypocritical tactics. Dublin City Council has had to repair leaks at almost one in 50 homes where water meters have been installed by contractors working for Irish Water. Council workers have fixed almost 250 leaks, at a cost of €136,000, resulting from damage to pipes following the installation of the meters. Private contractors, employed by Irish Water., have been installing meters at stopcocks outside homes in the Dublin City Council area since last October. A total of 12,677 meters were installed in the city up to the end of last month and the council was called to repair 247 leaks left behind once the contractors had left. The Department of the Environment has paid €89,000 of the repair costs, but the council has been told the department “will not be refunding any further costs incurred”. The council said it understood that Irish Water will repay the costs associated with repairs required in 2014 “and beyond” as the utility now had the responsibility for funding water services. “Details of this fund and the associated application procedure have yet to be finalised,” the council said. Fine Gael councillor Naoise Ó Muirí said there was a quality and standards issue that needed to be addressed. “Clearly, if the council is having to send out repair crews this frequently after meters go in, there are quality issues,” he said. A spokeswoman for Irish Water said that where a contractor was “deemed liable for damage to a pipe” the contractor would be responsible for covering the cost of the repairs. She was not able to provide figures on the level of repairs that have been completed following installations around the State, but said “in overall terms the rates are not higher than expected”. 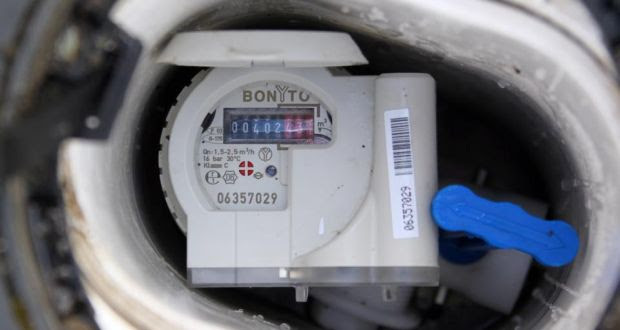 Contractors are installing meters at more than one million homes at a cost of €539 million. The installation programme is expected to continue until 2016. More than 100,000 have been installed to date, Irish Water said.